Today let me show you this Lancome Renergie Lift Multi-Action Lifting & Firming eye cream, that I got as a GWP few months ago but started using few weeks ago and I think it's time to share with you guys my thoughts. 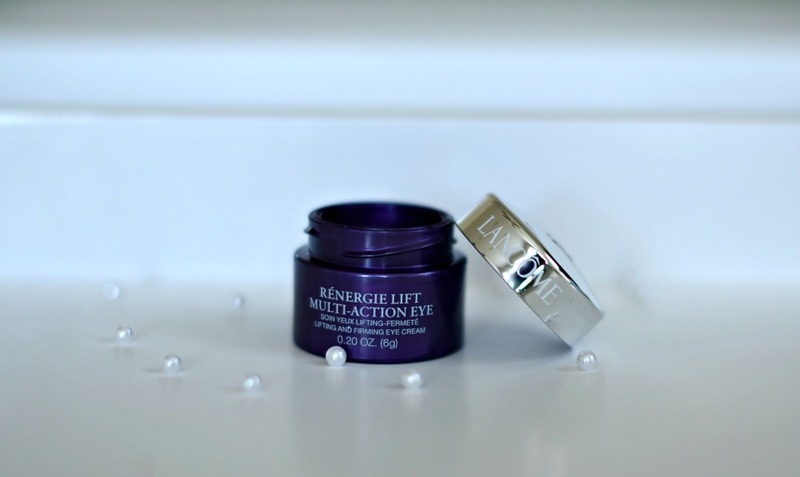 "Renergie Lift Multi-Action lifting and firming eye cream is formulated to smooth your eye contour while lifting and firming skin around your eyes. It also works to deflate bags, diminish wrinkles and fade dark circles for a younger, more radiant look. The dermatologist-tested formula is comedogenic- and acnegenic-free." OK, the details about this lancome eye cream sound amazing, doesn't it? Now, let's talk about the results. This is a lightweight, pale pink cream that perfectly moisturizes the skin. It is not greasy and it doesn't irritate my eyes (that's a big thing for me, because I have sensitive skin, especially around my eyes that can get irritate very easy). I use it twice a day:in the morning before my eye makeup and in the evening, after I take off my makeup. I've been using this Lancome Renergie Lift Multi-Action Lifting and Firming eye cream for a few weeks now and I can already see the difference__ my skin is not only better moisturized, but also it feels smoother. What I love about this Lancome cream the most is filling effect, once I aply it under my eyes, it's filling in the fine lines and make even surface. It can be a great eyeshadow base too. no other eye cream has kept my eyeshadow on place for hours like this Lancome Renergie Lift Multi-Action Lifting and Firming eye cream. The only downside is the price__ it's definitely expensive but you need just a tiny amount of this cream so it lasts quite long. Have you used this Lancome eye cream yet? Let me know about your experience and have a lovely day. I need to try this cream. Looks like an amazing product. Cool review Nina! ;) Would love to try that cream! Great review! I think it's so important to invest in a good eye cream. This sounds like an amazing product and I love that it fills in the lines under the eyes. Great post, I love it, love the product as well, thank you for sharing!!! Interesting! I've only ever come across positive reviews on this cream. I should try it for myself! ive not used it but im definitely after my perfect eye cream! ive always thought id be the estee lauder one, but this looks nice too! I love reviews like this! I'm glad to hear you liked this eye cream :) I always consider spending some extra money on skincare + rarely do. This makes me think I really should! This sounds like an awesome product and the price is well worth it! I feel like it's time I should invest in an eye cream. This one sounds great. 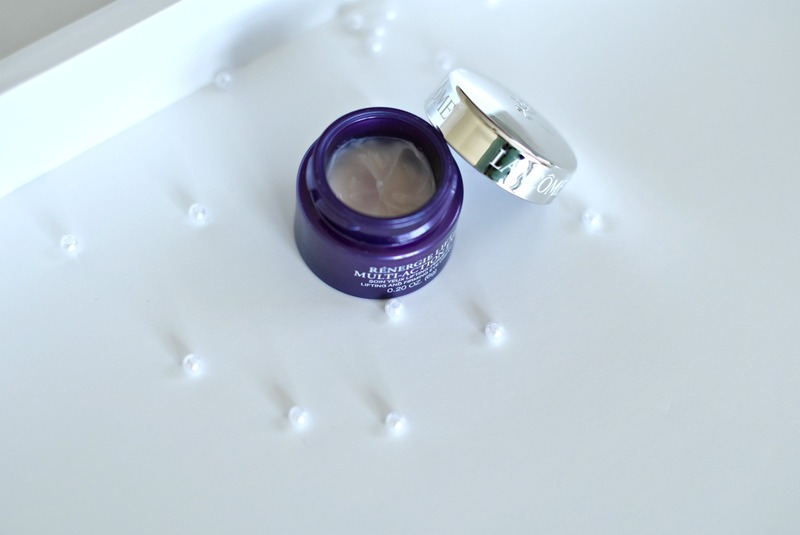 I've never personal used a Lancome beauty product before but this eye cream sounds amazing! Thanks for sharing!! Great review, definitely sounds worth the price! Nice review. Thank you so much for sharing. I';ve never tried this before but it looks great!! I have really sensitive skin around my eyes that also irritates easily so I def need to try this! It's always so tough to find an eye cream that actually works! Great post!! I think my mom uses this!!!! I love Lancome creams, they are so luxurious. Thanks for sharing! I love lancome! This product looks really good! Lancôme is such a great brand! Well reviewed and looks great! I've heard good things about this product!! Nice review sounds like a good product. Lancome generally have pretty good skincare, my mum loves the brand but I personally never tried anything from them. Good to know this eye cream works, Nina. Sounds like a great product I need to check it out thank you for sharing! I liked that it is firming and good for sensitive skin, because like you, I have sensitive skin too! Normally I can;t wear lancome products, but around the eyes I think it is OK. I will definitely try it and will tell a friend of mine, since she is crazy for Lancome! I love the Lancome brand. Currently use their foundation and the Genifique serum. This product is another to try out. Thanks for the information.